Jeremy Wallace uses humor to challenge students to make inclusiveness a serious priority in their own lives and in their campus communities at large. Jeremy understands that talking about transgender issues can be challenging, especially if you haven’t had the opportunity to personally get to know someone who has transitioned. That’s why Jeremy wants to reintroduce humor into the conversation. Yes, conversations about transgender issues may be clumsy at first, but that isn’t any reason to avoid them. Change makes people uncomfortable; you shouldn’t expect anything different from yourself, but you should expect yourself to rise above that initial feeling. Getting informed about the struggles of transgender people is a crucial step in learning true empathy for the trans community. 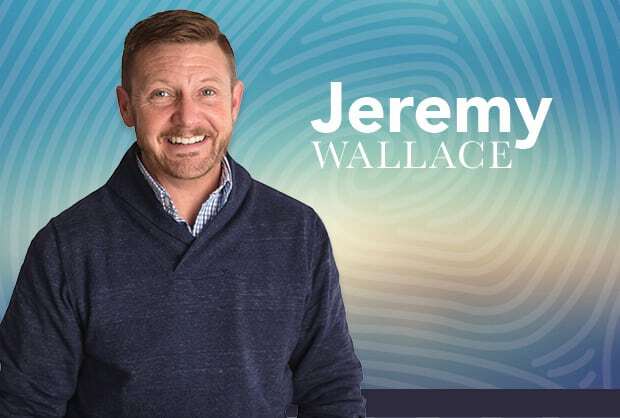 Jeremy Wallace is an author, professional speaker and consultant. His book, Taking The Scenic Route To Manhood chronicles his journey as a transgender man and combining his expertise as an entrepreneurial business owner with life challenging experiences, Jeremy speaks to corporations, organizations and groups of any size about embracing change, becoming our true selves and living up to our full potential. Jeremy also conducts training workshops and seminars on transgender issues in the workplace, has given a TEDx Talk about his journey, and enjoys being involved with the LGBTQ community as a volunteer with the Human Rights Campaign. Understanding transgender issues can seem challenging, but Jeremy Wallace will convince you it really doesn’t have to be. All you need to do to better understand and speak about transgender issues is listen. In this keynote, Jeremy gives the audience a better understanding of what life is like for someone who is transgender, explained by someone who is transgender. He helps students explore what it means to be transgender and many of the challenges faced by members of the trans community. While outright discrimination is still a certain challenge, most individuals, despite good intentions, do not notice the microaggressions they create. Jeremy helps break down some of the common offenses and removes these barriers to inclusiveness in your community by teaching some important Do’s and Don’ts. This keynote is a great starting place to build a more knowledgeable foundation for the topic of transgender lives in your community. Time is built in for Q & A.
more self-awareness and knowledge of how they can support individuals. Jeremy kicks off this keynote with an overview of gender identity in order to accommodate participants coming in with any level of knowledge on the subject. He then dives right into how to be a true supporter of LGBTQ+ students, faculty and staff on campus. Jeremy takes students through practical steps on how they can be an Ally, on and off campus. By sharing his own stories full or humor and insight, he helps students understand that LGBTQ+ individuals still appreciate a little privacy too. Students will leave with a new perspective on some of the burning questions they’ve been wanting to ask (or maybe already have). Q & A is always welcome. how to proactively support and advocate for LGBTQ+ students, faculty and staff. Campus safety matters to all students, but is particularly critical for those who identify as a LGBTQ+ individual. An unfortunate reality is that instances of discrimination and violence against trans individuals are terrifyingly commonplace. In fact, a recent study of 27 Institutions of Higher Education (IHE) (AAU, 2015) found that 28% of students who considered themselves to be transgender, gender queer, gender non-conforming, or not listed had experienced sexual violence since coming to college. In this keynote, Jeremy Wallace equips college and university students, staff, and faculty with insightful ideas to encourage an atmosphere of inclusion and safety. The results of these efforts have the capacity to impact not only present LGBTQ+ students, but future students through recruiting efforts. Jeremy will play a vital role in helping your IHE shift from a reactive stance to diversity issues as they arise, to solidifying proactive diversity education policies that create a welcoming campus community for all. new skills to aid in recruitment.